I bet you all thought I forgot, didn’t you? Well, truth be told I did intend for this to be posted a week ago. But it’s here now! As I hinted on Facebook, my October giveaway is both my own frankens, and it’s with a Harry Potter theme. Even though I made these with Halloween in mind, they’re certainly not polishes you can only wear on Halloween! I’m going to be giving away 1 full set of my Potions 101 trio, which is comprised of Wolfsbane Potion, Polyjuice Potion, and Draught of Living Death. Hopefully someone can give them a good home! Now, I know the question will come up- no, I don’t have extras to sell. I’m sorry! I do this for fun as a hobby, and I made a handful of these for myself, a couple of friends, and then you guys! And sadly I used up all of the pigments I had for each color making my bottles. Wolfsbane Potion: this potion relieves the symptoms of lycanthropy. The only canon evidence of it’s appearance that I could find was that it exuded a faint blue smoke, so I took that and ran with it. I used a black jelly base to represent night, and added a blue color shifting pigment, and blue-purple micro flakes to represent that smoke. Polyjuice Potion: this potion is well used throughout the Harry Potter series that is used to allow the drinker to assume the form of someone else. Before the final ingredient- a bit of the person you want to turn into- is added, Polyjuice Potion looks like dark, thick mud. After the final ingredient, it takes on a look representative of the person (the potion used to make everyone look like Harry in Book 7, for instance, was a golden color). My particular polish is inspired by the first time we saw Polyjuice Potion- when it was used to make Ron and Harry look like Crabbe and Goyle. ‘Overcooked cabbage’ and ‘boogies’ were used in the description, which makes me think of green. So Polyjuice Potion is a brown polish filled with a green color shifting pigment and green micro flakes. Draught of Living Death: this is a sleeping potion that sends the drinker into a death-like slumber. In the 6th book, the students are creating this during their first Potions lesson with Professor Slughorn, and while the potion will eventually turn clear as water, most students do not achieve this level of success. The step before this turns the potion a lilac color, which was the inspiration for this one! It’s a lilac colored jelly polish filled with a purple shifting pigment, fine iridescent glitter and iridescent squares. This giveaway will only be open until Friday at 11:59pm- so that’s 2 days. You just have to follow me in some way to enter, though you can get up to 2 entries for Facebook follow AND another form. Open internationally, 18+ (if younger, you can enter with parental permission). I’ll be using Rafflecopter this time- I know there’s some ladies that can’t use Rafflecopter on their phone. Simply email me (info at the top of the page) or message me via Facebook, and I can manually add your information. 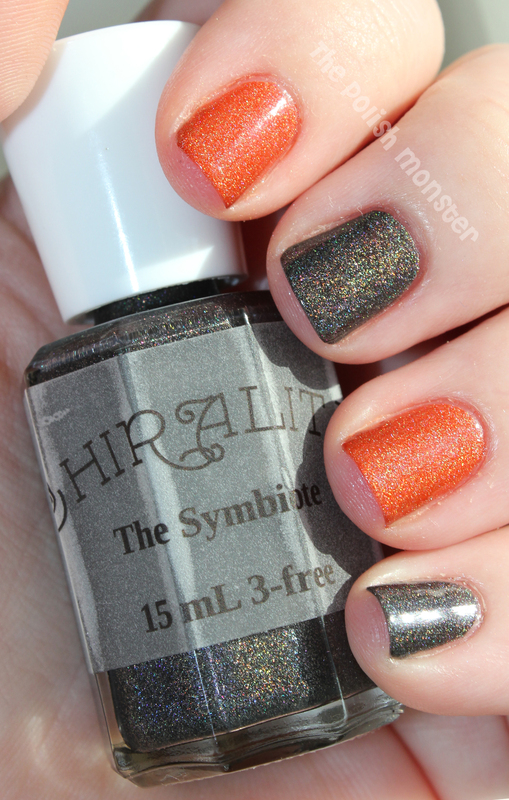 Halloween Holos featuring Chirality and Above the Curve! Hey guys! I promise I’m still around! I know I’m a bit behind with posting- and to be honest, this whole month has been a bit slow. I took a breather last week to take care of various things, but I’m getting back into the swing of it all. Some of you saw my poor action shot of my right hand the other week- I had an all-the-way-down break on my middle finger from all of the preparations for the youngest’s birthday party. I tried my best to leave the rest of my nails longer and just wait for it to grow out… but that lasted maybe a day before I cut off every nail (it was driving me crazy!). I have a fresh bottle of Rejuvacoat now (I had run out, and 3 weeks of minimal usage is probably what was causing me to suddenly have breaks), and I’ve already had a decent amount of regrowth. So for the next few weeks, you’ll be seeing nubbins. Not super nubbins like I sported for a very long time, but short. I know some people prefer that, so maybe not a bad thing! I took these photos last week for my regular posting, but never wrote the post. Tonight I’m going to quickly show off 3 lovely polishes- The Symbiote and Just Before Dawn by Chirality, and Fallen Angel by Above the Curve! The other day I wore a ‘skittle’ type mani with The Symbiote and Just Before Dawn to get in the Halloween spirit. The Symbiote is a black holographic polish, and Just Before Dawn is a rich orange holographic polish. This photo was taken indoors, standing directly in front of a window. The holo effect on both is very strong, but is more visible on The Symbiote because of it’s dark color. Both colors are shown with 2 coats and 1 coat of Julep Fast Dry topcoat. Just Before Dawn is a perfect 1 coat polish though! I added 2 for good measure with picture taking, but for my normal wear I only use 1 coat. Have I mentioned recently how much I *adore* 1 coat polishes? This is the polish in indirect sunlight- in front of a window, but not facing the sunlight. Still absolutely beautiful! 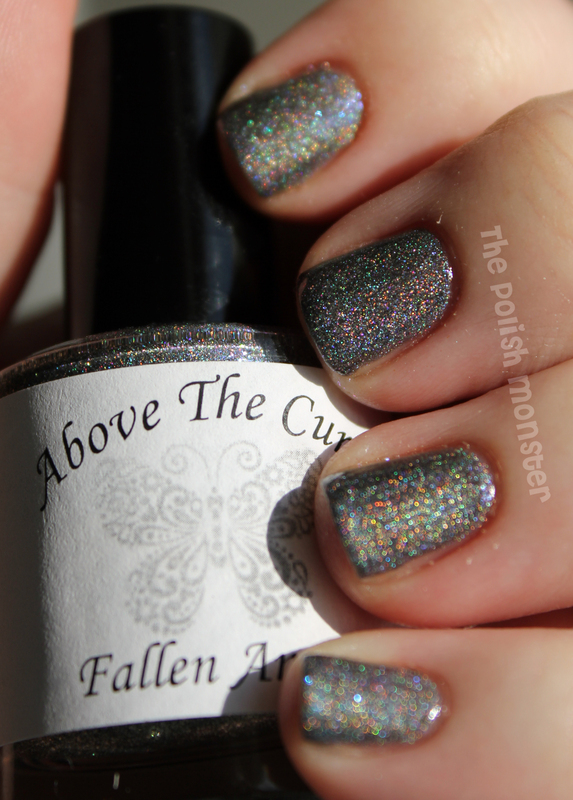 The next day, I decided to wear Fallen Angel by Above The Curve! Fallen Angel is an absolutely stunning polish. I love grey colors, and this is a beautiful dark grey holographic polish with flashes of blue and purple. It’s hard to see the flashes in the photos, but trust me- it’s there! And it’s what takes this otherwise beautiful holo over the top into awesome land. This photo is in indirect sunlight- so the holo is less pronounced, but you get a better hint of the stunning color shift. 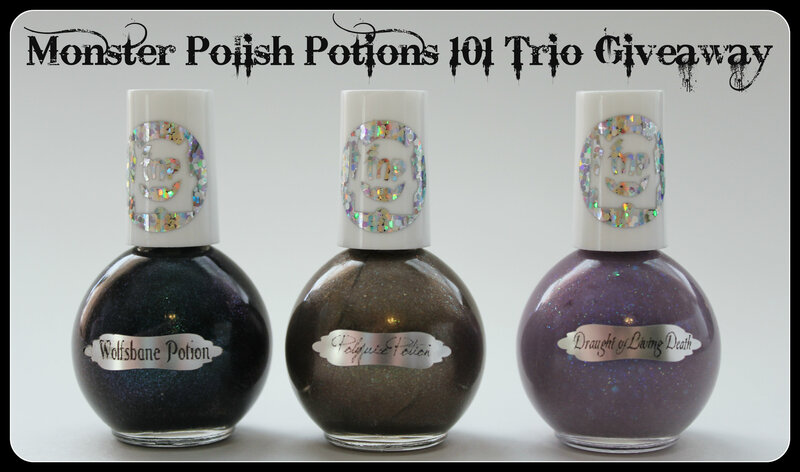 I highly recomend grabbing all 3 of these colors- and both shops have a lot of other beautiful holos and polishes to choose from! You can find Chirality here on Facebook, and browse her store here on Big Cartel. You can find Above the Curve here on Facebook, and can buy their polishes here on Etsy, and here on Big Cartel. Be sure to check in tomorrow- I’ll be showing off my Halloween polishes! As promised yesterday, I have a few Pams & Kin polishes to show off! I took advantage of their recent sale and bought my very first colors from this line. I’ve been really interested in exploring the less glittery side of indies lately, and these did not disappoint! I chose Audrey, Start the Revolution and Only Ashes, and was surprised with Bruised when I got my package! All 3 of these are just lovely. Application was a tiny bit thick with Audrey, but absolutely perfect with the other two. All were opaque in 2 coats and didn’t require much cleanup. First up is Audrey, Start the Revolution! This is a gorgeous shade of Tiffany blue. The bottle is filled with a stunning blue and pink shimmer, but sadly they weren’t as noticeable on the nail. They were still there, though! Just not quite as prominent and really didn’t want to show up for my camera. This is 2 coats of Audrey with 1 coat of Poshe topcoat. The application was a little tricky because this one was a bit thicker than the others, but it wasn’t anything difficult to work with. Next I have Only Ashes! This was my favorite of the trio! I am in love with greys this fall, and this is a beautiful one! It’s a smoky grey color filled with a strong pink and blue shimmer. This was very noticeable on the nail, as you can see in the pictures! Application was great and everything went on smoothly and easily. The photos show 2 coats with 1 coat of Poshe topcoat. This is a beautiful dark blurple shade filled with a strong pink-purple shimmer. Like Only Ashes, this one went on beautifully. I would highly reccomend a base coat though! I always use a base coat so I had no staining, but in the areas of skin that required a bit of cleanup, there was some residual blue. Better safe than sorry with these super dark colors! Photos show 2 coats with Poshe topcoat. You can find Pams & Kin on Facebook here, and check out their Etsy store here. Be sure to look at all their lovely creations! Full size bottles are typically $10.00 USD, though they can sometimes be higher (if the polish is a holo, for instance). Hi guys! It’s time for another Go Pink Wendesday! Today I started off with 1 coat of Zoya Lara, one of my very favorite pink creams, and added 1 coat of Lynnderella’s Boy-Girl Party on top. Now, those of you familiar with Lynnderella colors may be questioning my sanity about now- since Boy-Girl Party is a mix of primarily pink and blue glitter. But no, I haven’t lost my mind, this was intentional. Aside from just being very pretty, I decided to add the touch of blue this week as a reminder that not just women are affected by breast cancer. Yes, it predominately affects women- but it’s easy to forget men do suffer from this as well. The American Cancer Society estimates that in 2012 just over 2,000 men will be diagnosed with breast cancer, and 400 will die from it. So while we’re surrounded by pink this month, this is my nod to all the men affected by this terrible disease as well as women. Both polishes applied wonderfully. I ADORE Zoya’s polishes, especially their creams- they’re almost always 1 coat and apply like a dream. 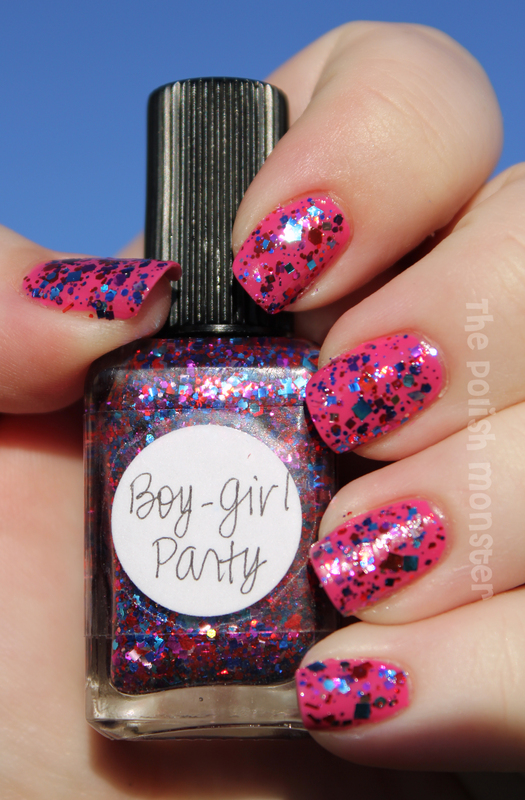 Boy-Girl Party is a little tricky- it’s a very thick, full glitter, so I used a bit of the dabbing method for placement. 1 coat Zoya Lara, 1 coat Lynnderella Boy-Girl Party, topped with 1 coat Gelous. You can find Zoya at ULTA as well as on their website at http://www.zoya.com. Lynnderella can be found on Ebay at http://myworld.ebay.com/lynnderella-lynnderella. Interested in a free Zoya? If you haven’t signed up for their Share the Love program yet, you can use my referral link here– once you sign up, you’ll get a coupon code (in your ‘My Promotion Codes’ section of your account page) for a free polish! Just pay shipping! If you add 2 more polishes to your order with this coupon, you’ll get free shipping (so 3 Zoyas for $16 even). Not bad! Tomorrow I’ll be showing off a few colors by Pams & Kin, so be sure to check back! Want to see the other lovely manis for Go Pink Wednesday! Look no further! Click the link below! 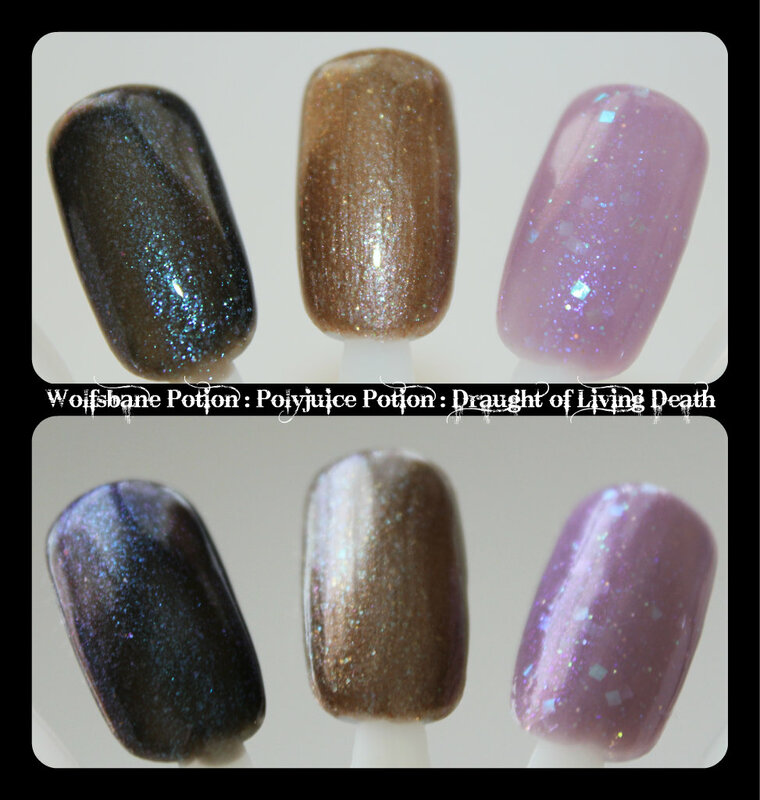 As promised on Wednesday (though a day late- I think this is a running thing with me), I have some pretty swatches of Fanchromatic Nails to show you! You may remember that Layer Cake from Wednesday’s post was created by Fanchromatic Nails. I do have some more colors to show off, but I wasn’t happy with my original photos, and it’s been storming here for the past 2 days. So I’ll do another post in the near future! Today I have She Is Confused and The Savage North to show you! If you’d like to see my old posts on Fanchromatic Nails, check out this one, and of course yesterday’s post. First up is She Is Confused! Isn’t this a fun one? It’s a lovely blue jelly filled with multi colored glitter. I used 2 coats over 2 coats of Tip Top Nail’s Wild Thing. Next up, I have The Savage North! This polish is inspired by Game of Thrones. We’re huge GoT fans in this house- we love the books and the show- and I love this polish! From the listing: ‘This polish was inspired by the world beyond the Wall in Game of Thrones. White for snow, red for blood, white sparkles for magic, and blue for the White Walkers.’ Maybe a bit morbid for some, but OH SO AWESOME. This is a gorgeous white polish filled with red micro flakes and a beautiful shimmer that was hard to photograph. This is just 2 coats over Tip Top Nails Perfect Look, a white jelly. You can find Fanchromatic Nails here on Etsy, and you can follow here on Facebook to keep up to date on news. Be sure to check them all out! Go Pink Wednesday: International Brands and Indies! Good afternoon everyone! I couldn’t decide which mani to use for today’s Go Pink Wednesday- so I decided to show off both! My first look is using 2 international polishes- Tip Top Nails Popsicle that you saw in yesterday’s post, topped with Passe Nati Sabrina Sato- Quero Amor. How fun! Quero Amor is a gorgeous green-shift flakie in a light pink jelly base, filled with glitter! Of course flakes don’t show up as well over colors that aren’t black or dark, but when I put my hand in the shade it was easy to spot them! And now for my second mani- This one is a gorgeous color from Fanchromatic Nails! It’s called Layer Cake- and I knew I needed it just for the name! This polish is inspired by Kaylee from the amazing show Firefly- which was sadly only on for 1 season. Inara: I see Kaylee’s here. Mal: Yeah, crying Cinderella tears. You should have seen her when I told her she could have that layer cake she’s wearing. 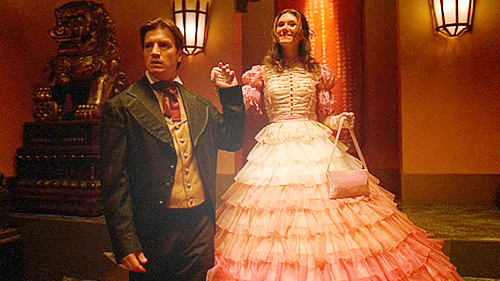 Inara: I think she looks adorable. This polish is so beautiful! It’s an amazing light pink linear holo, spotted with holographic pink glitter. Hope you enjoyed the different looks! Sadly- Tip Top Nails can only be purchased in South Africa, and Passe Nati can be found in Brazil (Llarowe does carry some of the brand, but not this particular polish). Fanchromatic Nails can be found here on Etsy, and you can follow their Facebook Page for news and updates! I’ll be showing off a few other beautiful colors from Lynae at Fanchromatic tomorrow, so be sure to check back! I recieved 5 beautiful colors- Perfect For Me, Perfect Look, Wild Thing, Popsicle, and Turbulence- as well as a combination base coat and topcoat All-In-One. I used the All-In-One as my basecoat for each color and it worked wonderfully! Now on to pretty pictures! First up is Perfect For Me, a bright neon pink! This is a bright, glossy neon pink- not too blindingly bright, but still neon! I used 2 coats for these photos and no topcoat. A neon that’s glossy and not matte! Next is Perfect Look, a sheer white jelly. It wasn’t clear from the bottle, but this is definitely more of a jelly polish- it’d be perfect for jelly sandwiches. The photos are of 4 coats, and there was still NVL. It reminds me a lot of a slightly whiter version of Essie Marshmallow, which is (was) my favorite go-to polish for jelly sandwiches! Tip Top’s Popsicle, a gorgeous peach-leaning pink with a strong pink-silver shimmer. This was my very favorite of the bunch- and I did love them all! The photos show 2 coats, no topcoat. 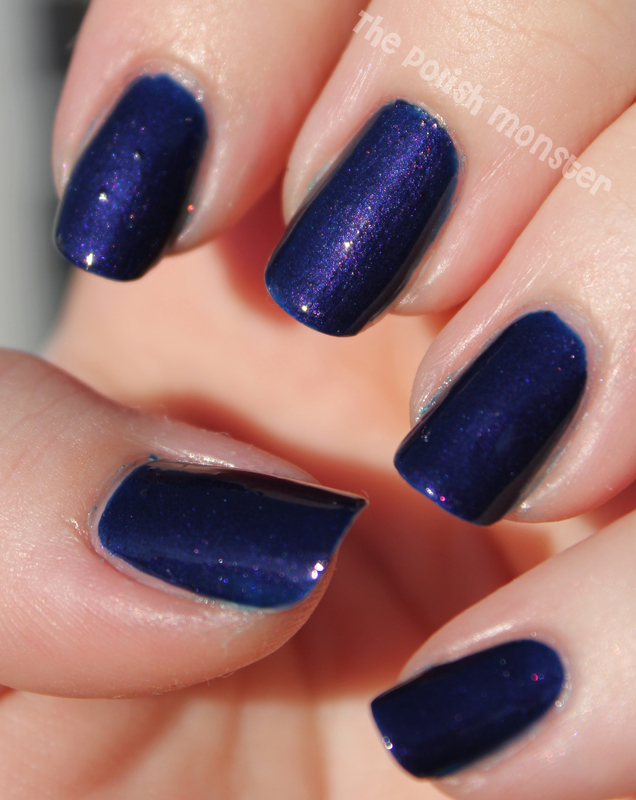 Wild Thing, a beautiful shimmering ocean blue. This photo shows 2 coats, no topcoat. You’ll see it again Thursday playing underwear duty for another polish! 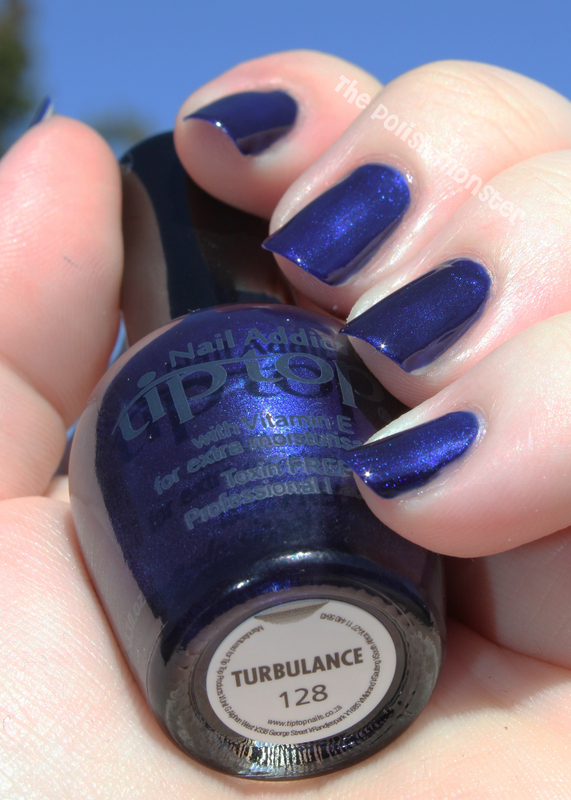 And last but not least, I have Turbulance- a gorgeous shimmering midnight blue that leans a tiny bit purple. These photos are 2 coats, no topcoat, just like all the others. They’re all just so shiny and pretty! I hope you enjoyed my photo spam! Sadly Tip Top Nails is only available in South Africa 😦 But you can check out their Facebook page, and you can find their main webpage here! 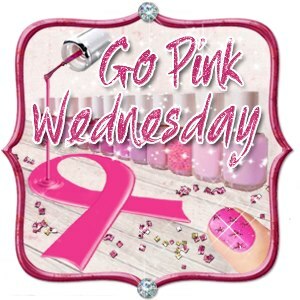 Be sure to check back tomorrow for Go Pink Wednesday- I’ll be showing off 2 separate manis!